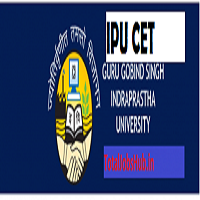 IPU CET 2019 Online Application Form, Registration, Notification: The Guru Gobind Singh Indraprastha University Common Entrance Test i.e. IPU CET 2019 Notification will be issued on its official site. Through this GGSIPU entrance exam department will provide the platform for those applicants who want to do their future education like graduation & Post Graduation in the field of engineering, medical, management, law, computer applications, etc. offered by the Indraprastha University. So applicants, if you want this opportunity, must check this IPU CET Online Application Form and then must grab this chance if you are eligible for the same IPUCET 2019 Exam. All crucial details will be mentioned here on this page for helping you and your convenience. The Guru Gobind Singh Indraprastha University is a reputed university in Delhi. This campus is the main head which organized the IPU Common Entrance Test in the month of May each year and released the same GGSIPU CET Online application form in the month of Apil/ May Now this students need to check all the details and stay calm or connected with this web page, whenever we get the details regarding IPU CET Application form. For MBBS applicant must pass 12th or equivalent examination recognized Board with Physics, Chemistry and Biology (PCB) with English as a compulsory subject and should secure minimum 50% marks. For applying this applicant must pass a 12th or equivalent examination with minimum 50% marks together in physics, chemistry, biology and English for general candidates and 40% for OBC/SC/ST candidates. Aspirants must complete 12th or equivalent exam pass with physics, chemistry, mathematics, English subjects with at least 55% marks. The upper age limit for this IPU CET 2019 is 21 years of age. The selection of applicant will be done on the basis of score and rank card and then on the basis of applicant marks organization will decide the merit list and only those aspirants will be selected for this job which name is mention in the merit list. For this application form applicant must pay the application fee is Rs. 750/- per candidate. The payment can be done via an online mode that is via Net Banking, Credit Card and Debit Card. Aspirants don’t forget once the fee is paid, take a print out if confirmation page for future uses. Step 1. In order to apply for this examination, students need to get the application form from the departmental website (after the release of IPU CET 2019 official notice). Step 2. The application form will be available from the April. Step 3. Fill the details accurately and completely. Step 4. After that, you will have to upload the scanned photographs and signature of yours in the prescribed format. Step 5. Make sure your form is filled out without an error because through this one error is the main cause of rejection of your registration. The question paper will consist of total 150 questions for all programme (except B.Tech. Biotechnology). Among this total, 200 questions will be asked for B.Tech (Biotechnology). Objective type paper and each question will carry four marks for each correct answer. Time duration will be two and a half hours (for B.Tech. Biotechnology, three hours). The question paper will have come in the English language. The question paper will comprises about 200 objective type questions. Paper will have come from Physics, Chemistry, Botany & Zoology subjects. Negativing Marking is also applicable i.e. three marks will be awarded for each correct answers and one mark will be deducted for each wrong answer. The question paper medium will be English. Before the examination applicants must collect the admit card of GGSIPU because it is an important document t for the examination without this applicant doesn’t attend the exam. So don’t miss this document and bring this at the time of examination. After completion, the process of examination applicant must check time to time official site and after the releasing collect result on online. After the declaration of a result department will prepare merit list according to the marks obtained by the students in common entrance test. we suggested all our visitors keep the print copy of the result with you for further use. If you want to check application form link so applicants wait for some time and stay connected with this page totaljobshub.in and get application form link very soon.